College can be tough. No, wait…college is tough. Imagine being in college as a Muslimah. That alone probably doubles the stress. In all honesty, it does not have to be. As a college student myself (less than a year left inshaAllah! ), I know personally the challenges that come up, both as a student and as a Muslimah attending a Western university. So I decided to help my fellow sisters who are thinking of going to school or are currently struggling with it. Here are some of the main issues I have dealt with personally. The hijab is an in-your-face sign that you are a Muslimah. For me, it has never been an obstacle, but I know many young women are insecure about this issue. In all honesty, sometimes our minds just make things worse than they really are. I have some moments when I am walking down a busy path with lots of students and suddenly thinking, “Oh no, they’re all staring at me!” In reality, people often stare out of curiosity, not even realizing they are being rude. 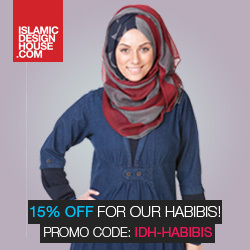 Being self-conscious comes naturally, but it does not have to make hijab a stressful obligation. Instead, it helps to think of hijab as giving a sense of empowerment. How many guys do you think will try to flirt with you if you are wearing a proper hijab and modest clothing? Not many, because your hijab will signal that you have honor and dignity. The honor that Allah subhaanahu wa ta’aala has given to women is protected by this hijab and modesty. My last point about this is that it is not just the cloth itself, but the attitude that comes with it as well: confidence, poise, and modesty (hayah) are part of a Muslimah’s character. Why should we throw that away when we go to school? Knowing that you are wearing the hijab for the sake of Allah, it will become easier with time…you will be recognized as not just a girl with a cloth on her head, but as the respected and admired girl who can be modest yet still educate herself. 2) Prayer: There is people everywhere! Another problem for any Muslim going to school is salah, prayer. We often do not live close enough to offer prayers at home and rush to class. Most schools, thankfully, have Muslim associations and even a designated spot to pray at. But sometimes, this is not the case. You might have only 10 minutes between classes and the prayer place is too far on campus. Or your class might let out just before the next prayer begins. While this is stressful, it does not have to be so bad. Quiet places on campus DO exist. Just seek them out while you are exploring the campus, or ask around. Oftentimes some classrooms are empty, so you can easily pray there. Libraries or reading room corners make excellent prayer spots. Even outdoors, behind buildings or in private garden areas, praying becomes an easier task. Some young women worry about being seen. A friend of mine conducted a survey about praying in public, and majority of the people surveyed (non-Muslim) remarked that they did not even notice when a person was praying. If there are still one or two people around, it is okay to let them know what you will be doing. That way, you do not appear strange, and they can be assured about what you are doing. In fact, many people, when realizing Muslims need to pray at designated times, are respectful and even admire the “dedication” we have in seeking time and places out to offer our prayers. Insha Allah, I will be posting more issues college Muslimahs might have to deal with, in Part 2!